In the name of Matricultura neither "business consultancy" nor "environment consultancy" to increase profit is possible. A clean and environmentally compatible exploitation of Mother Earth is as impossible as "humane" torture or "fair" war. Matricultura distances itself from any kind of violence. In every situation there are pacifistic and respectful solutions. Matricultura distances itself from any kind of fissioning. Fissioning of the energy of life: Fissioning of the energy of life in vivid and in over-active and poisonous life energy trough radioactivity and microwaves. Also future technologies that work with space-Energy or nanotechnology should be examined regarding eventual fission-products. Social fissioning: such as castes, classes, amongst them also the self-appointed "priest casts" from so-called initiated and secret societies, prophesies, fortune teller, conspiracy theories. With Matricultura there shall be no earning of fission money (euro, dollar, pound, etc.)! Fission money requires exponential growth of wealth and debt because of the dynamic of the compound interest. Thus in society fission is created in wealthy and indebted, in propertied and dispossessed, in workers with wage and workers without wage, in nature to exploit and nature to protect. Matricultura recognizes fission-money as the main motor of the exponential growing destruction-machinery of the patriarchal world economy. Fission-money has brought the people in deep inner and outer dependency – today life turns around fission-money. Matricultura demands, that life turns around life again. 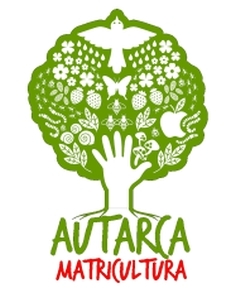 Matricultura implicates a holistic world view. There is neither hierarchy nor a picture of a linear evolution, there are no rulers but: All of us are empowered beings. Matricultura advises to dare now to start building a life-biotope. "I can't" means in the language of Matricultura "I fear the consequences". "I have to" means "I don't want to".